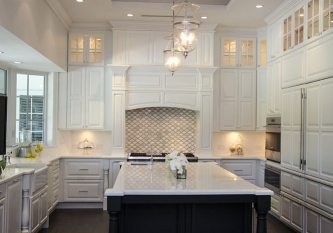 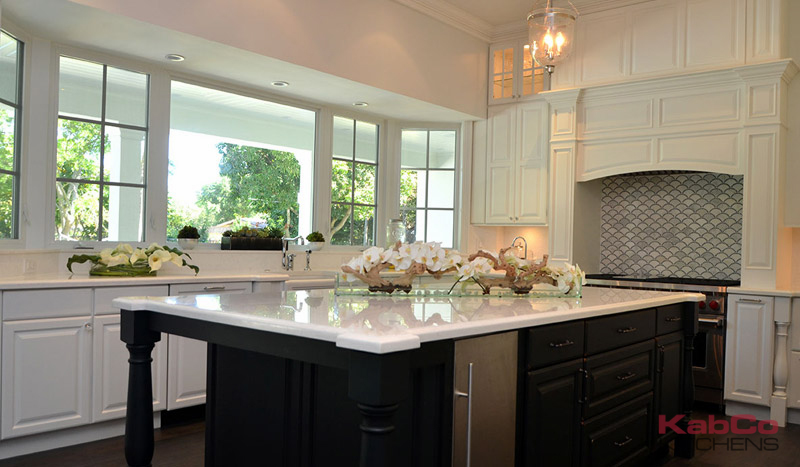 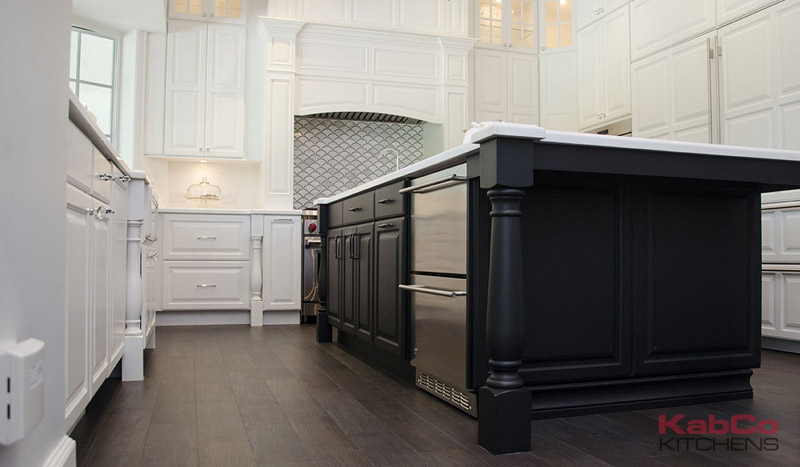 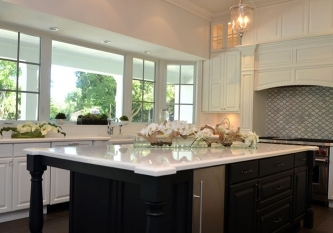 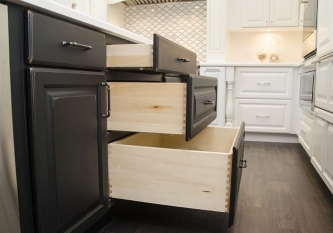 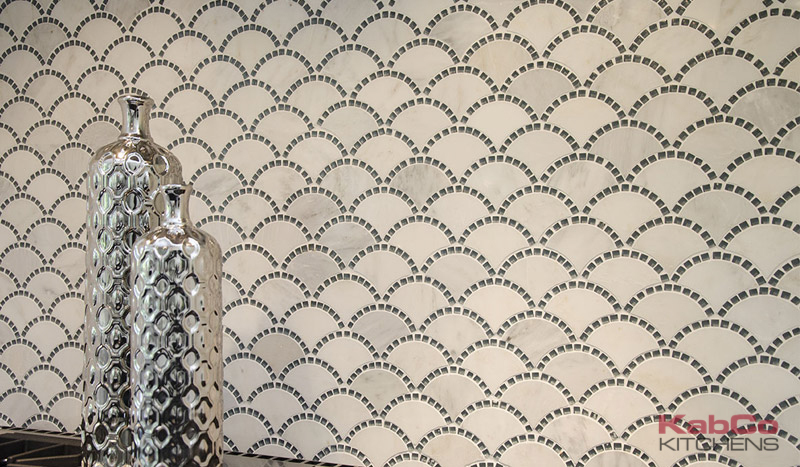 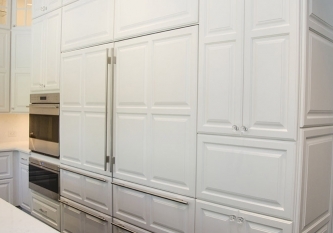 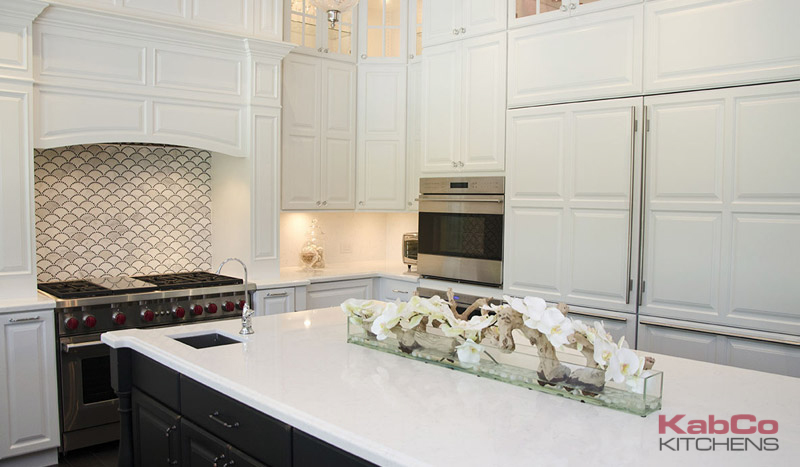 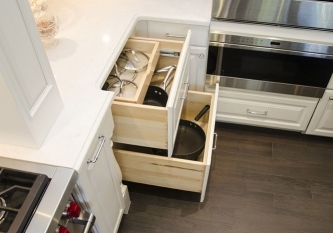 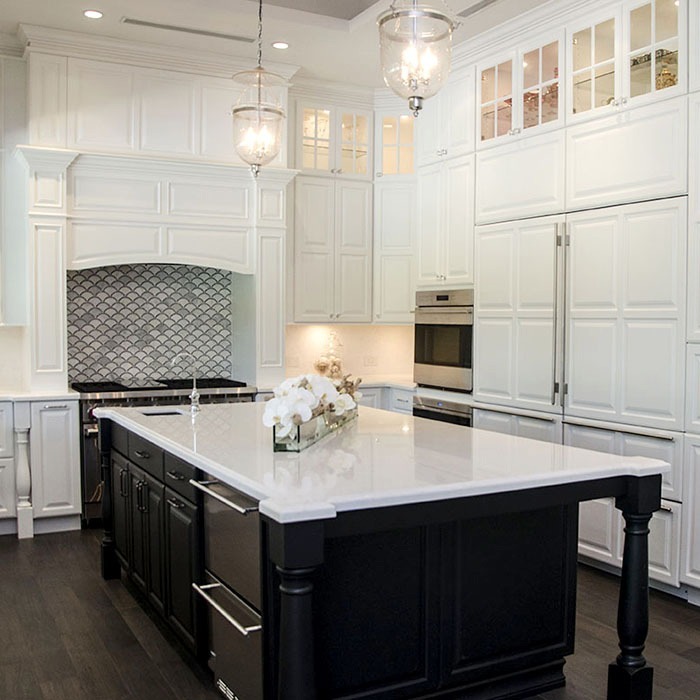 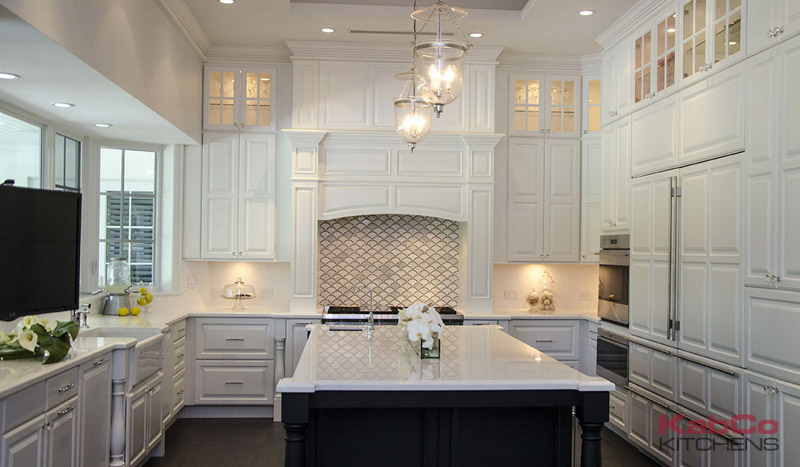 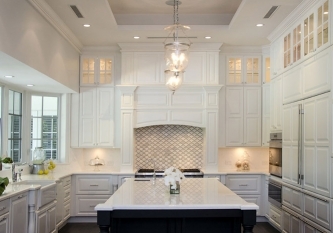 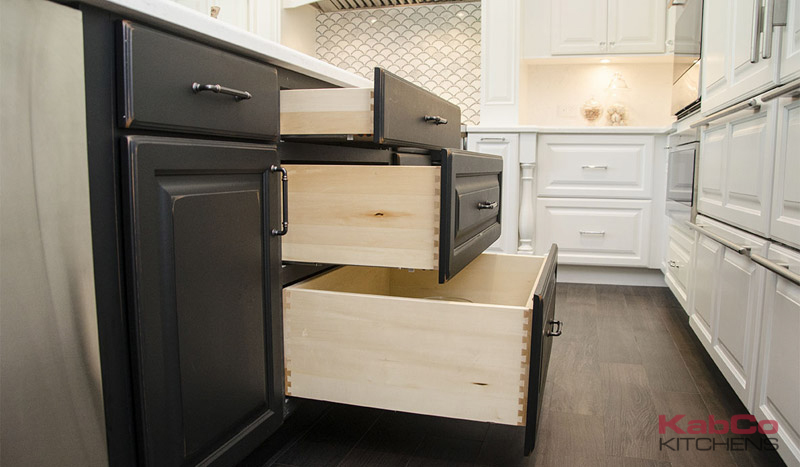 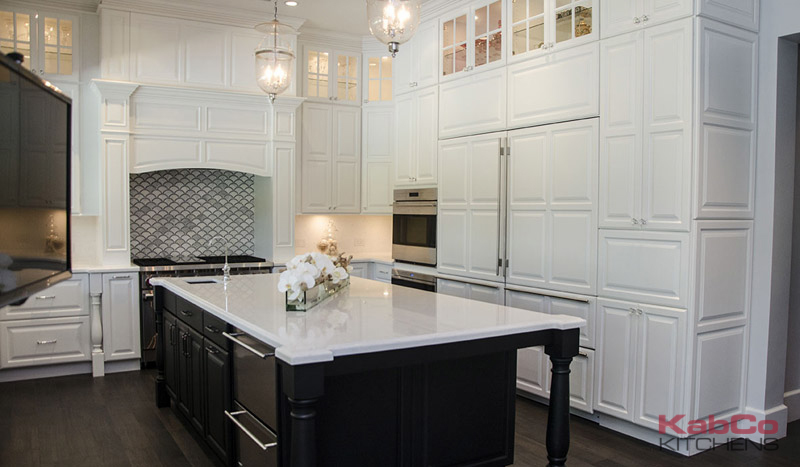 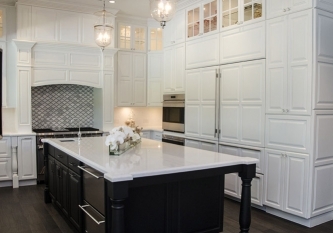 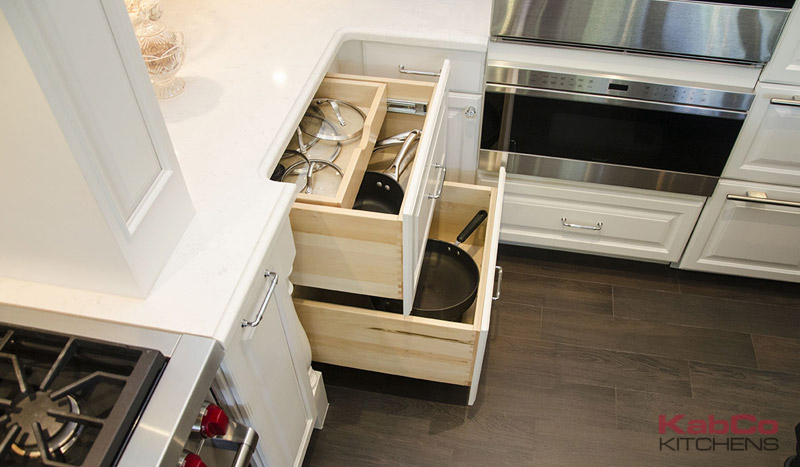 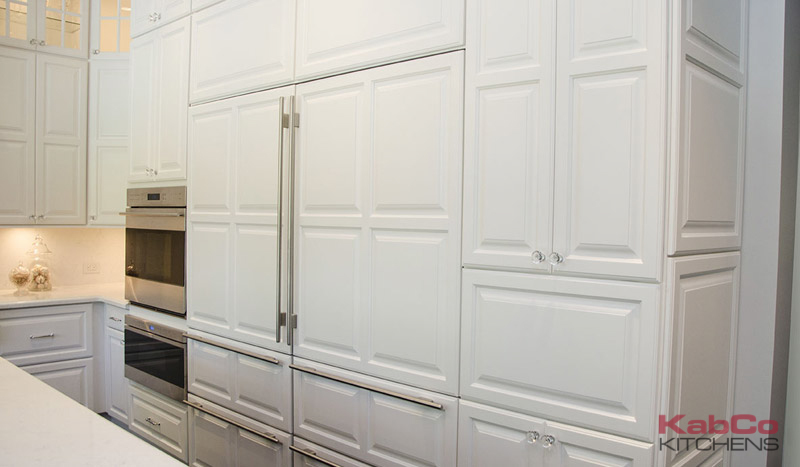 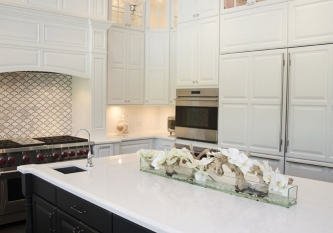 A high-contrast palette of exceptionally white and dark cabinetry prove to be visually striking yet timeless. 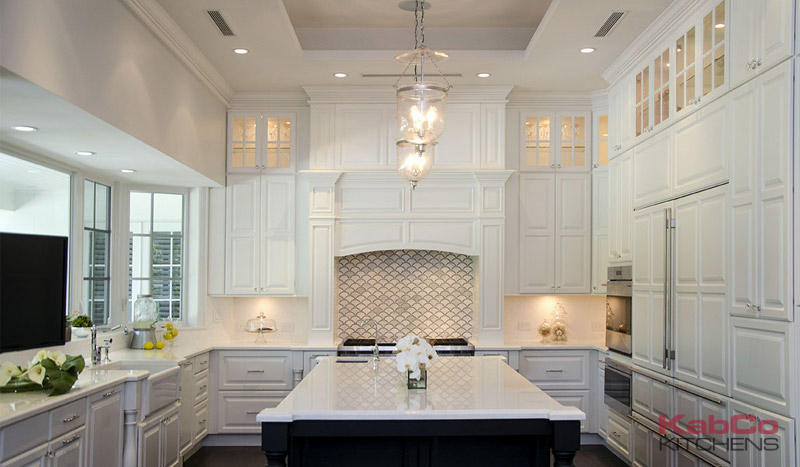 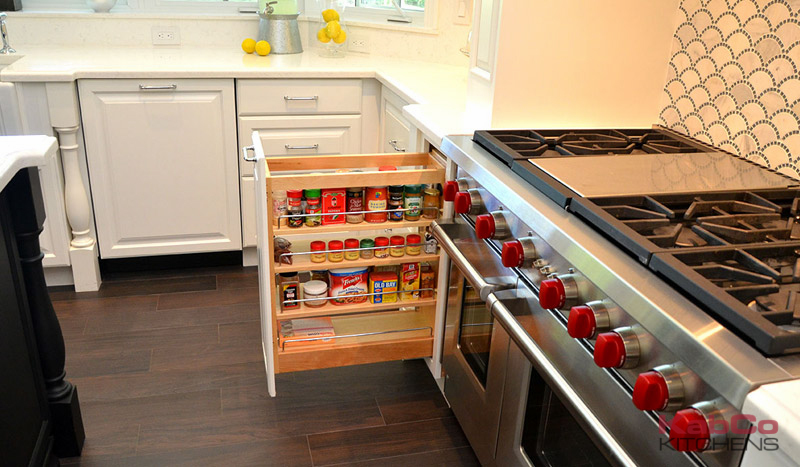 This new South Florida home boasts over 70″ of white stacked Showplace Wood Product cabinets, molding and paneling. 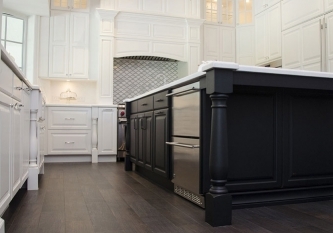 The island expands 10 feet and is finished in vintage charcoal. 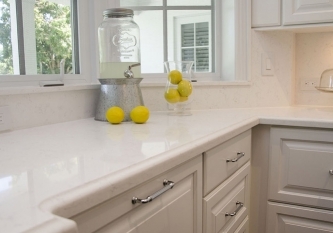 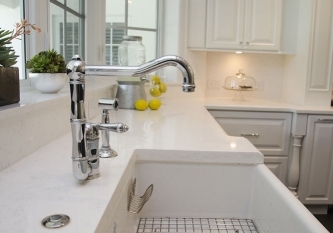 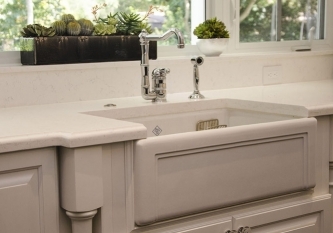 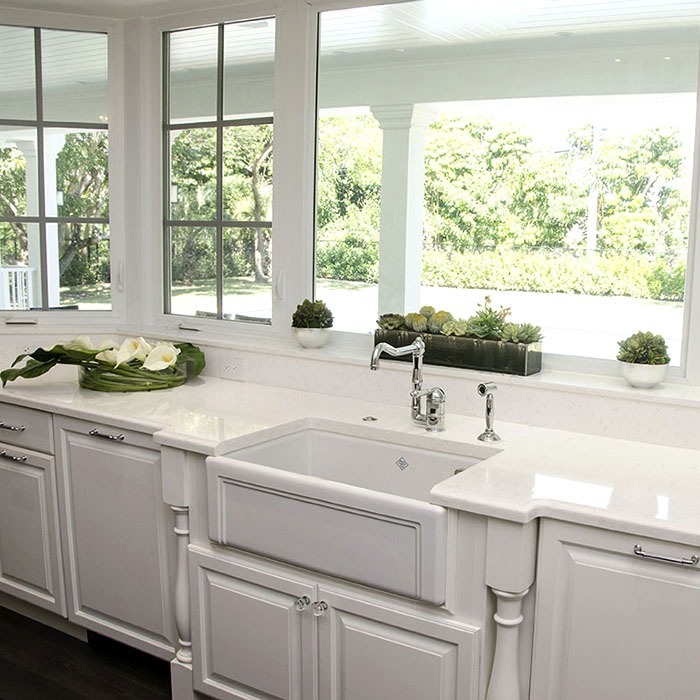 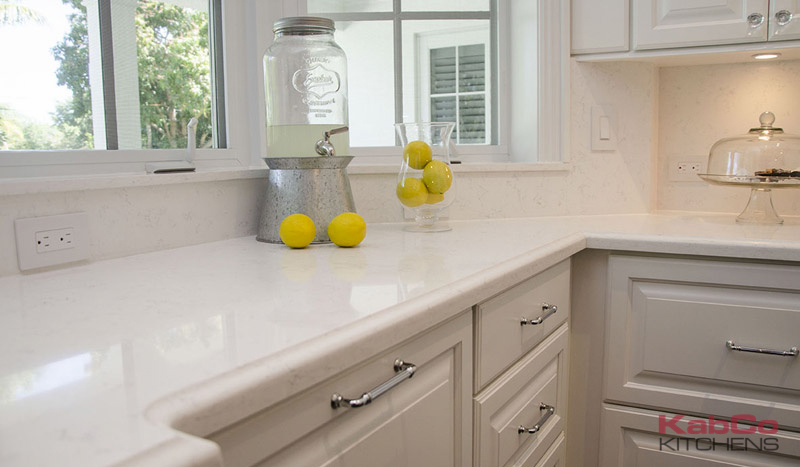 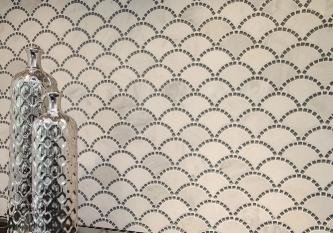 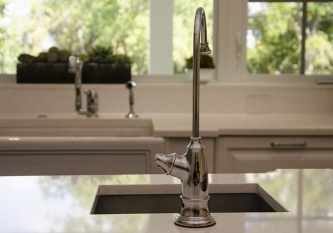 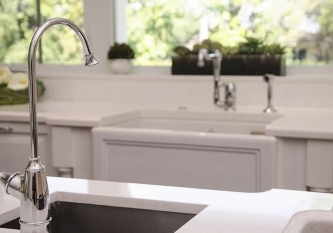 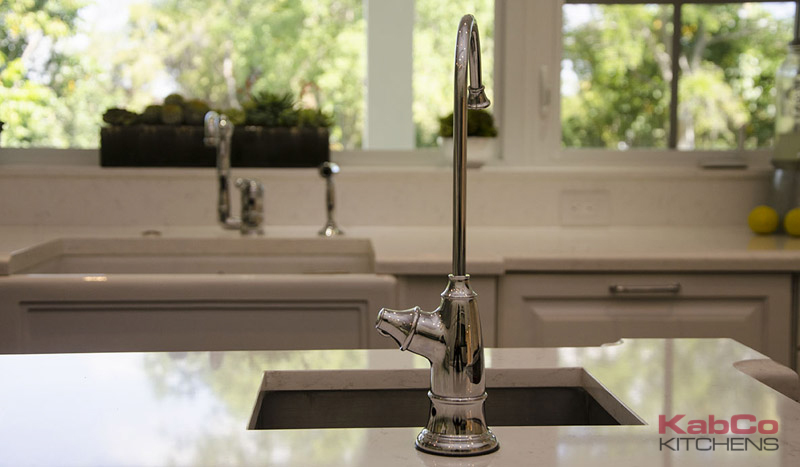 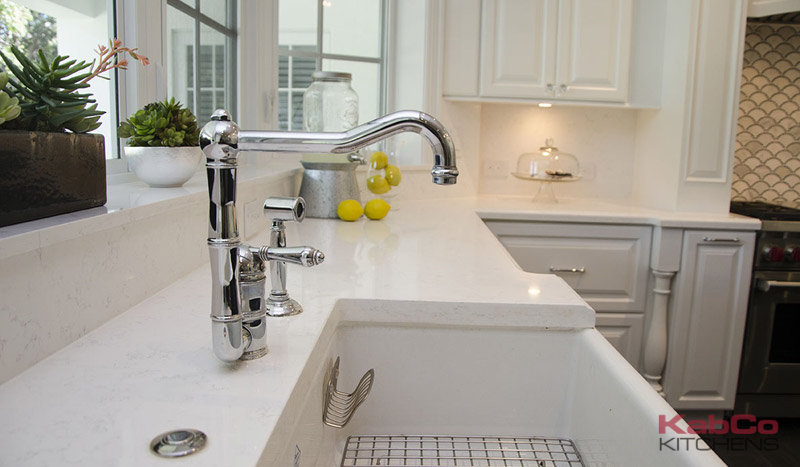 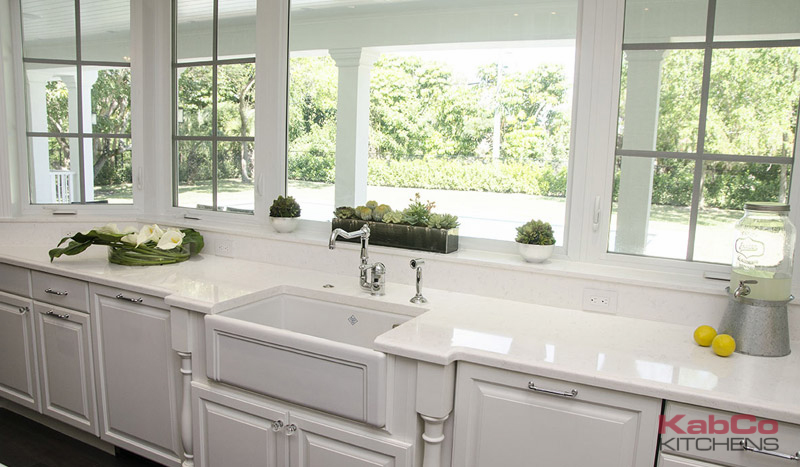 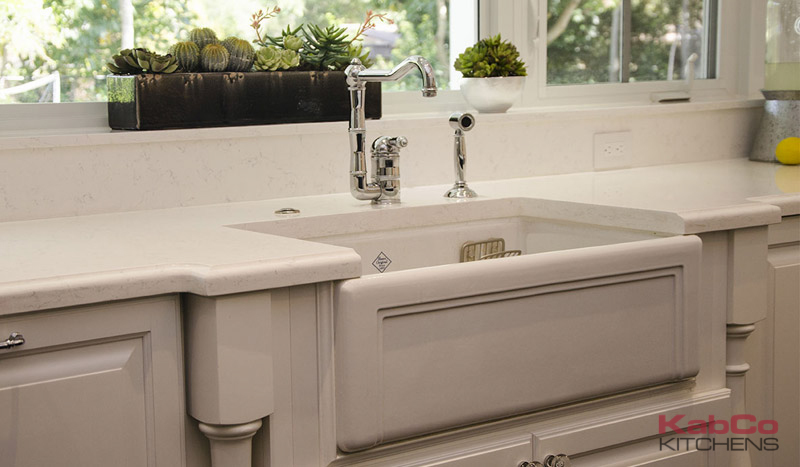 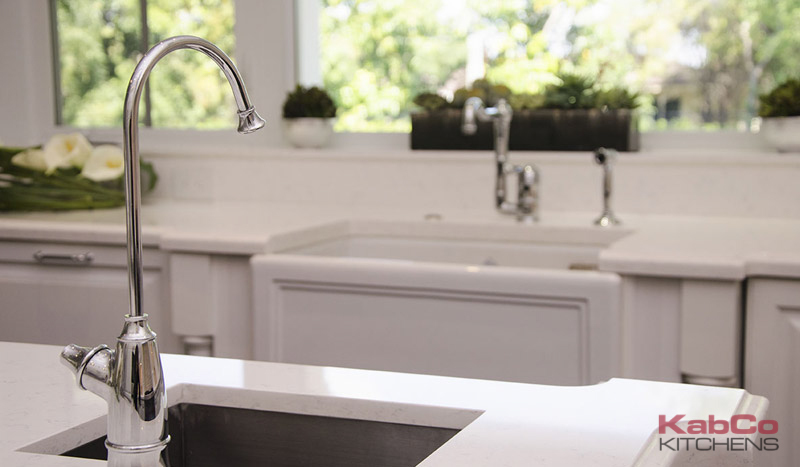 Quartz countertops and a porcelain farm sink were chosen in the same palette.